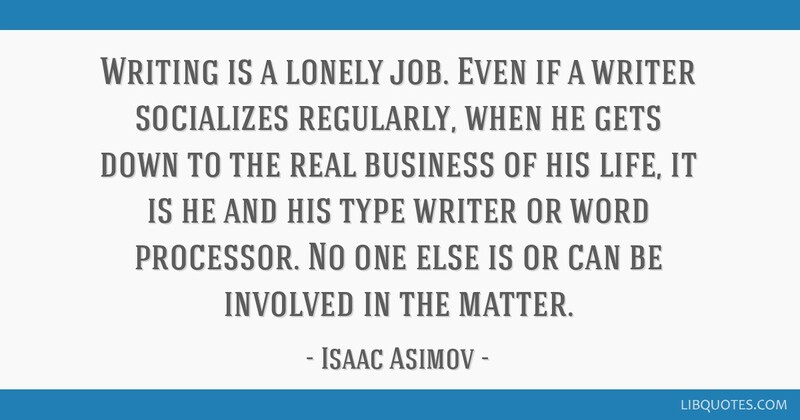 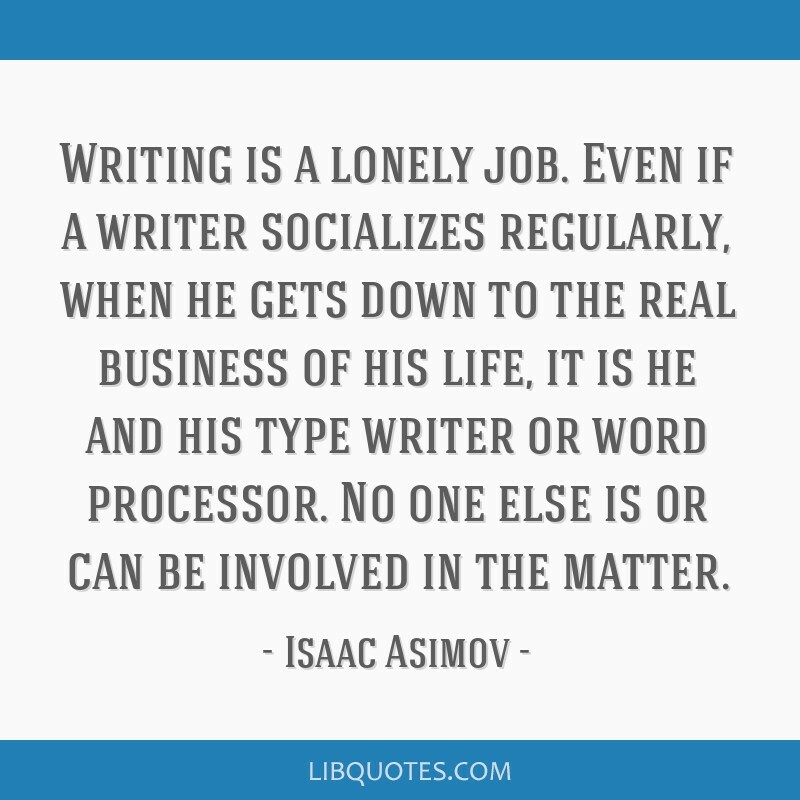 Writing is a lonely job. 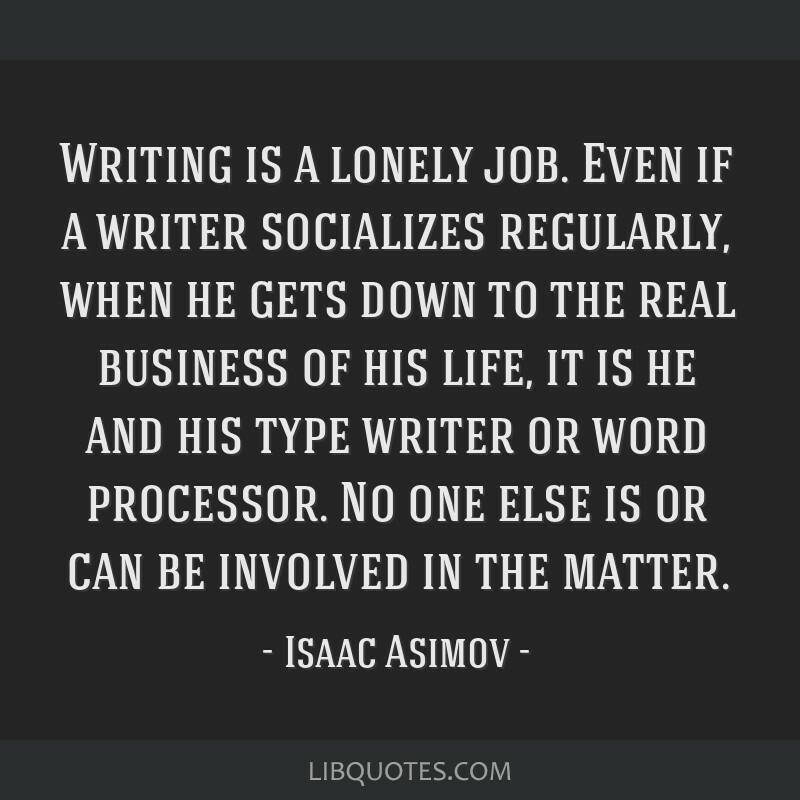 Even if a writer socializes regularly, when he gets down to the real business of his life, it is he and his type writer or word processor. 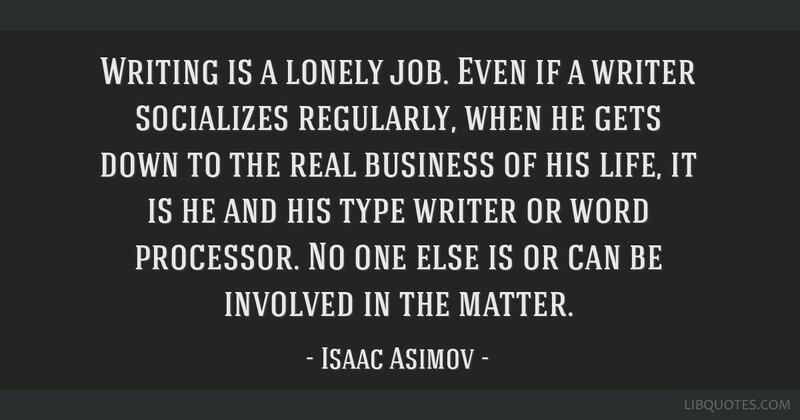 No one else is or can be involved in the matter.